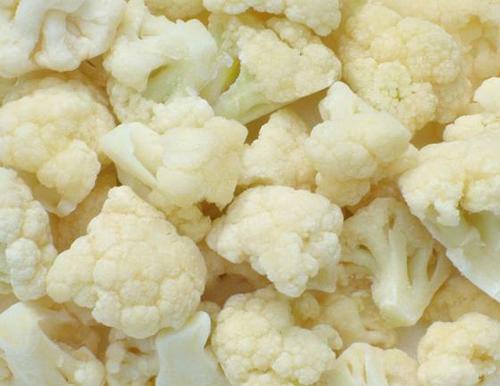 Product categories of Frozen Cauliflower, we are specialized manufacturers from China, Frozen Cauliflower, Grated Cauliflower suppliers/factory, wholesale high-quality products of Birds Eye Riced Cauliflower R & D and manufacturing, we have the perfect after-sales service and technical support. Look forward to your cooperation! The edible part of cauliflower is the flower part of the dish. The raw materials are white, big, and free from diseases and insect pests. At the beginning of processing, the outer leaves and petioles are first cut off and cut into smaller pieces. Wash 2-3 times, blanch 1-2 minutes in 100 C hot water. Remove and quickly cool to below 10 C. Drain and freeze and pack.The whole process strictly controls the hygienic conditions and is committed to providing customers with safe, clean and healthy Frozen Broccoli.